Nissan Consult 3 Plus v75 Windows XP: confirmed! will have GOOD luck! Nissan Consult3 Plus v75 Windows 7: confirmed! Nissan Consult III Plus v75 Windows 8: confirmed! Nissan Consult III-Plus v75 Windows 10: confirmed! Nissan Consult 3 Plus v75 Windows Vista: you’re NOT ADVISED to use the sw on Vista! Uninstall the firewall, antivirus software. Install the Consult 3 plus V75.20 to the C drive in the “NTFS” format. Security: use with relief, 100% tested with Consult 3 plus china clone! Tips: How to use Nissan Consult 3+? This first screen is termed the “Home Screen,” and it will serve as the navigational foundation for all C-III plus features. Let’s walk through the different sections briefly. The horizontal bar at the top-most portion of the screen contains reference information. At a glance, you can see the VIN and the model of vehicle currently connected to the VI. It is also very easy to determine whether your software version number is up-to-date by making note of the six digit number at the top left, then pointing your browser at www.nissan-techinfo.com. Once on the Nissan site, choose “CONSULT Diagnostic Software Updates” from the drop-down menu below the log-in form. On the right of that page, you can view the most recent software versions. Always keep your C-III plus software at the newest stable release to ensure proper operation of the scan tool. Image: The redesigned Home screen of the C-III plus interface. Below the reference information top bar on the Home screen are the horizontal navigation buttons called the browser bar. The C-III plus software is intuitively designed like a familiar web browser including icons and text labels. The “Back” button will move to the previously viewed screen. The “Home” button will return to the Home screen; however, doing so will clear all information about the current vehicle requiring reconnection. Use the “Home” button to start completely over with diagnosis or for a new vehicle. The following two buttons are incredibly useful: “Print Screen” and “Screen Capture.” The “Print Screen” button does what you’d expect: send whatever information you are currently looking at to an attached or wireless printer. The “Screen Capture” button will take a digital picture of the screen data, and save it to the Toughbook’s hard-drive for future use. Previously recorded information from the VDR mode, self-diagnostic results, and other saved data can be browsed and recalled by pressing the “Recorded Data” button. The remaining icons on the browser bar comprise the status window. These pictures indicate vehicle battery voltage, the connectivity signal of the VI, and the status of the MI’s connection and its battery life. You can quickly determine if the C-III plus has detected either the VI or the MI. To switch between the interfaces, you can use the large button in the “Connection Status” section of the main active screen. The C-III plus can be quickly minimized or exited by the large buttons at the very top right. The Diagnosis Menu on the right portion of the active area holds easy-to-press icons and text bars for the majority of your scan tool jobs. Take special note: If the security card is installed in the Toughbook, all buttons except Immobilizer may be grayed out. This might cause some confusion. If necessary, exit the C-III plus application, physically remove the security card from the lower left access port of the Toughbook, then restart C-III plus to reconnect to the vehicle. What a difference! The most commonly-used icons and procedures are available at a touch from the Diagnosis Menu on the Consult III plus’s main active screen. Primary functions like checking for DTCs can be done by pressing “Diagnosis” (All Systems). Another feature of the C-III plus is the dramatically reduced time necessary for a system call. Once all systems’ statuses have been queried, the C-III plus will have a color-coded display of Current, Pending/History, and no DTCs. On the left side, an ECU will be colored red if there is a current fault, yellow if there is a history code, or green if there is no fault detected. In the center of the active screen, a listing of the DTCs will be displayed in color coding, with a quick-press button to access Freeze Frame Data and a “plain English” explanation of the DTC. You will also note a series of block buttons above the active screen with the visited page history. If you wish to go back a step, the browser bar’s Back button or this “breadcrumb” series of buttons will allow for very quick, intuitive navigation of the C-III plus. The tabs immediately above the active screen can be used to navigate to additional support functions of the C-III plus. For example, the Active Tests tab will bring up a series of possible bi-directional tests to aid in diagnosis. The Data Monitor tab allows you to configure the C-III plus to display all live data or just what you need for diagnosis. 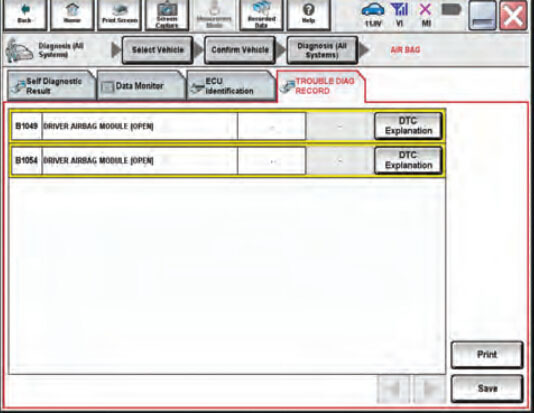 The Work Support tab will give you rapid access to nondiagnostic functionality like TPMS re-initialization, Idle Relearn Procedure, Steering Angle Learn Procedure, and more. At any time, the list of DTCs can be saved to file, printed or erased by use of the buttons in the bottom right. The C-III plus also makes verifying a repair easier. From the home screen, the Diagnosis (One System) button will allow you to query status on the system you finished work on. The C-III plus will perform a quick system call and report if any DTC remains stored in that specific ECU. The One System active screen will behave as outlined above for the All System call. Image: All DTCs are displayed clearly with relevant Freeze Frame Data and an in-depth explanation just one button press away. The C-III plus shows its improvements over other scan tools when it comes time to perform the complicated procedures involved in re-flashing or replacing a computer module, and when programming immobilizer keys. Every technician knows that reprogramming a computer module can be time consuming due to the intricate, multi-step process that must be followed exactly to avoid damage. The C-III plus creates a “one stop shop” for module reprogramming by placing a Reprogramming button on the main Diagnosis Menu of the home page. Follow the printed directions on the TSB and procure the necessary re-flash file from www.nissantechinfo.com or www.infinititechinfo.com. Once downloaded, the re-flash file will contain a README document that will instruct the user where to store the file. Once downloaded and properly located, the C-III plus will access the appropriate re-flash file and perform the update. In order to preserve information from the previous ECU, the C-III plus allows you to effortlessly export and import settings using the “Read/Write Configuration” button. The reprogramming submenus are clearly labeled with “Before Reprogram” and “After Reprogram” buttons to facilitate the transition. 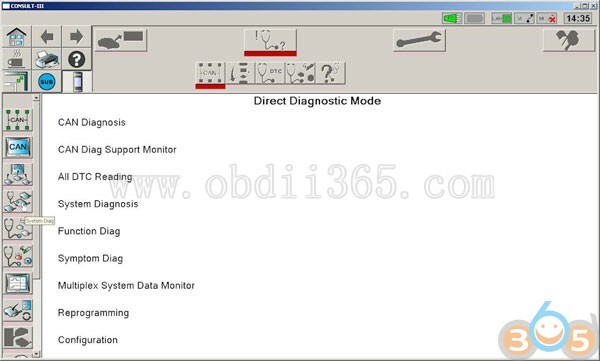 Likewise, working with the immobilizer computer is as simple as installing the security key card and pressing the “Immobilizer” button on the Diagnosis Menu of the home screen. When registering new immobilizer keys, the C-III plus will automatically query the BCM for the necessary PIN code for decoding in the NATS database on the Nissan or Infiniti Techinfo websites. With the decoded passcode input, you’ve successfully performed immobilizer key registration in just a few button presses! 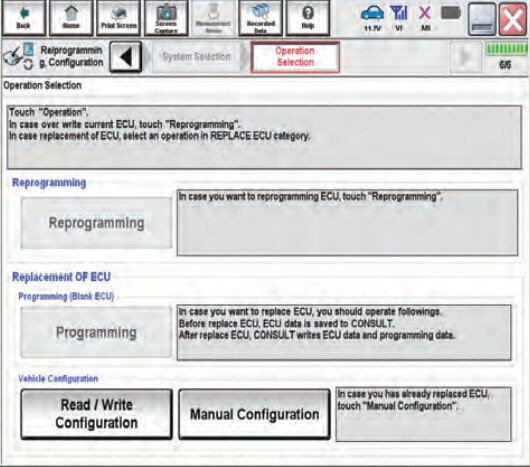 Of course, the entire procedure is outlined in easytounderstand steps on the active screen making your job more about fixing cars than reading instruction manuals. Once you’ve worked with the Consult-III plus, you’ll realize the power of Nissan’s next generation factory scan tool. The intuitive interface is an improvement over the original Consult-III based on focus group suggestions and most-requested features. The C-III plus eliminates many steps that were previously required for advanced diagnostic procedures such as immobilizer programming and ECU flashing. With reduced load times, systemcall times, and less time spent hunting for a functionality,the C-III plus makes it possible to harness the power of the best Nissan scan tool to date! Image: ECU reprogramming and replacement has never been easier with the C-III plus’s completely redesigned interface. 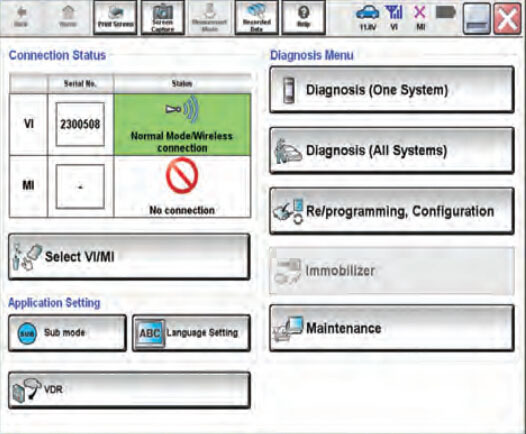 Note that, Consult-III plus is confirmed to work for Nissan immobilizer and reprogramming functions also. Offline reflashing can be done, without requirement of an count and password. 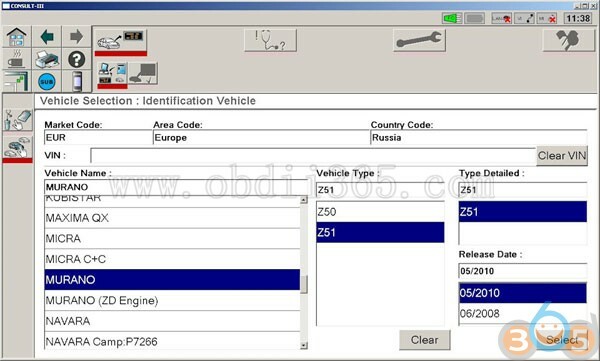 This entry was posted in Car diagnostic tool and tagged Nissan Consult 3 plus, Nissan Consult III Plus on April 9, 2019 by obd365. I have a Nissan Murano Z51 3.5L CVT 2012Y, love the car except DOWNHILL ENGINE BRAKE CONTROL (AUTO ENGINE BRAKE CONTROL in the CVT. I prefer to control the car myself and I like to use free wheeling to better my gas mileage. I’ve read that this “feature” can be un-programmed by a professional scanner. Yes, on the Altima/Murano CVT, hill-assist engine braking is a feature that can be turned off. 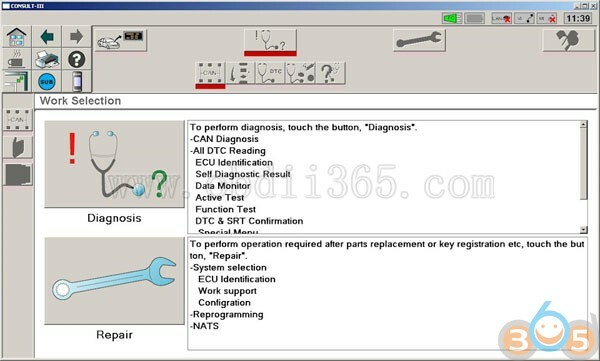 Here’s the step-by-step using Nissan Consult 3 diagnostic tool. If you are using a clone, Consult III Plus is a better choice. Disclaimer: The tutorial was translated from Russian. Credit to Car-Buster. This entry was posted in Car diagnostic tool and tagged Nissan Consult 3, Nissan Consult 3 plus, Nissan Consult III on November 7, 2018 by obd365. – Install with update on 62.10. All work great. This entry was posted in Car diagnostic tool and tagged Nissan Consult 3 plus, Nissan Consult III Plus on January 24, 2017 by obd365. 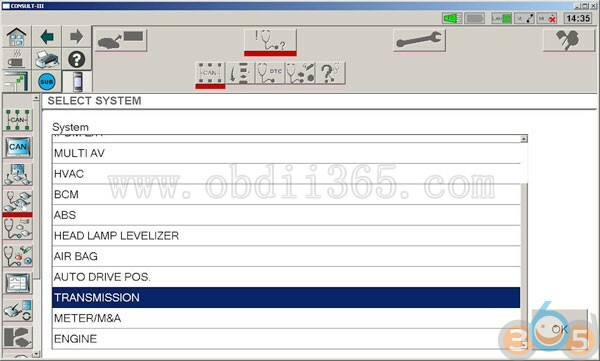 This is an obdii365 user feedback on his successful installation experience of Nissan Consult III plus v54.11 software. Quote it here and wish this helps. The user install Consult-3 plus 54.11 on Windows XP operting system on a Dell laptop. And here is the installation steps he performed and verified working. 3. Run “v80003T_20101215_x32.exe” to enable bluetooth. 1. Before installing the software, turn off the firewall, antivirus software, 360, etc. 2. Software should be installed in C drive，and C drive must be “NTFS” format. 3. Operating System Requirements: XP SP2 Professional Edition operating system or higher. 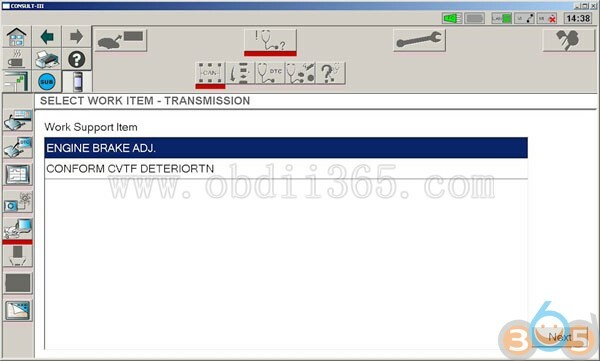 This entry was posted in Car diagnostic tool and tagged Nissan Consult 3 plus, Nissan Consult III Plus on July 12, 2016 by obd365. 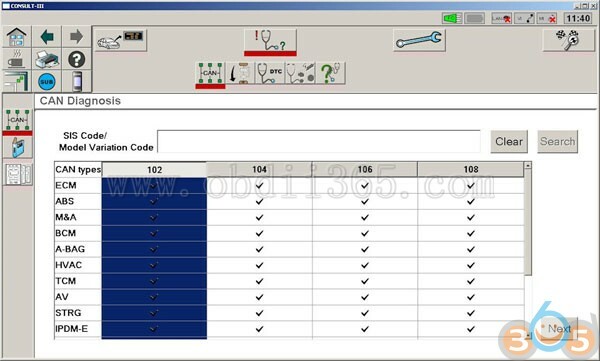 Nissan Consult 3 III Plus auto diagnostic scan tool software has newly updated to V54.11, GTR software released to V20.11. Can only work with Windows XP(SP2 or Later). It cannot work in VISTA system. Support all the models of the Nissan and Infiniti from 1996 up till now, with all Consult II & III functions . Can calculate the password for the new cars till year 2012 with NISSAN Password. 1. 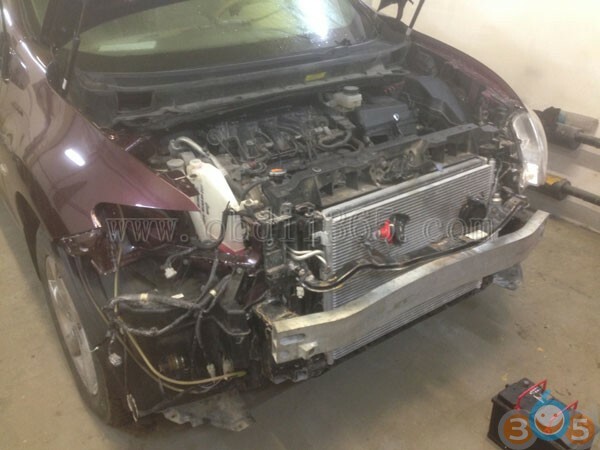 Nissan Consult-3 plus (nissan consult 3+) work for all nissan car , infiniti car and nissan gtr car to 2012. 4. 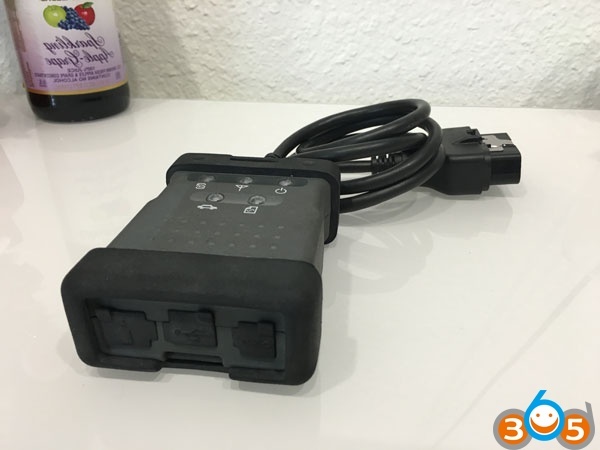 Electromobiles car: for Nissan Electromobiles car Diagnostics and Immobilizer; For immobilizer function, you need purchase Nissan Conslut-3 Plus Security card together. 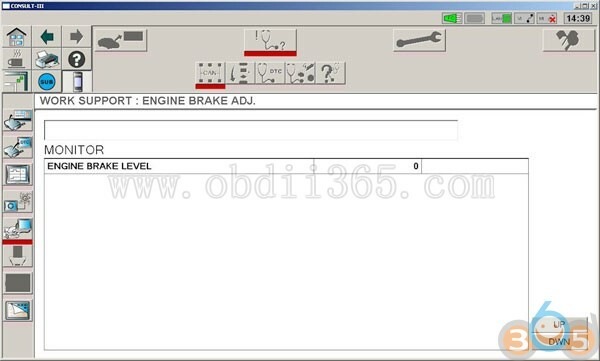 This entry was posted in Car diagnostic tool and tagged Nissan Consult 3 plus, Nissan Consult III, Nissan Consult III Plus on June 23, 2016 by obd365.